Sonny has had an astounding 72 records on the US country charts including 23 number ones, making him one of the most successful country artists of all time. In 1983 Sonny decided to retire and is enjoying his time on his beautiful ranch in Alabama raising cattle. It is such a pleasure to listen to the wonderful music that Sonny James has given us, his many classic songs will be forever enjoyed. 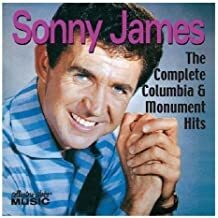 Sonny James recorded several love songs that I think are outstanding, “I Love You More and More Everyday” and “You’re the Reason I’m in Love” are two of my favorites. If you want to make your wife or husband feel good, just strum a few chords on your guitar and sing her/him one of these songs. Music is an excellent communicator and a great way to express our emotions.